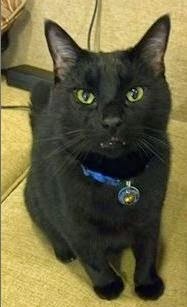 Tom, a 9-year-old neutered male cat, has been missing since 7 a.m. Feb. 28 from Kenwood Drive in Annandale. That’s in the neighborhood near Braddock and Ravensworth roads. He is timid but enjoys the sound of a shaking bag of food. He has his claws and a distinctive overbite and is not wearing the blue collar shown in the photo. If you find him, call April, 610-223-6179. 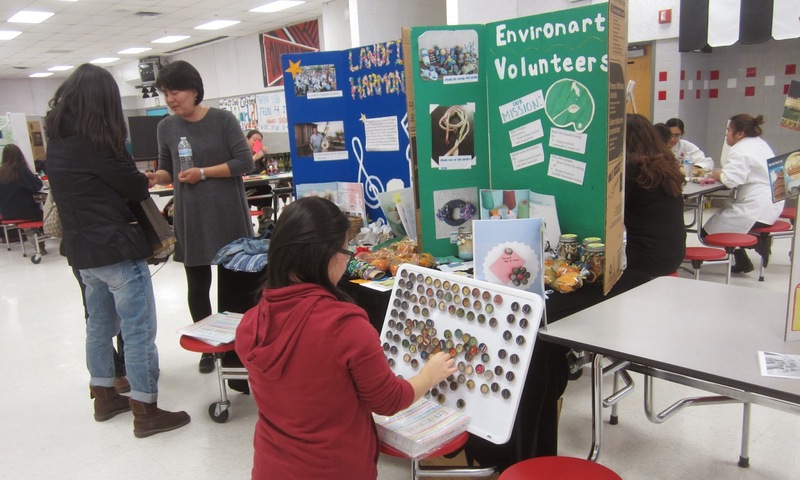 Annandale High School students involved in organizations aimed at making the world a better place showcased a variety of initiatives promoting environmental activism, social justice, and cultural understanding at the 10th annual Just Word Festival Feb. 27. Officers from the Mason Police District charged two men Feb. 25 with larceny in the Westlawn community, the Fairfax County Police Department reports. Officers on the midnight shift responded to a call for service from a resident who saw people rummaging through his van in the 7600 block of Camp Alger Avenue at about 2:54 a.m.
Officers questioned the men and linked them to at least 10 vehicle larceny cases in the area. Numerous items were stolen, ranging from a laptop computer to loose change, knives, cigarettes, and Chuck-E-Cheese game tokens. 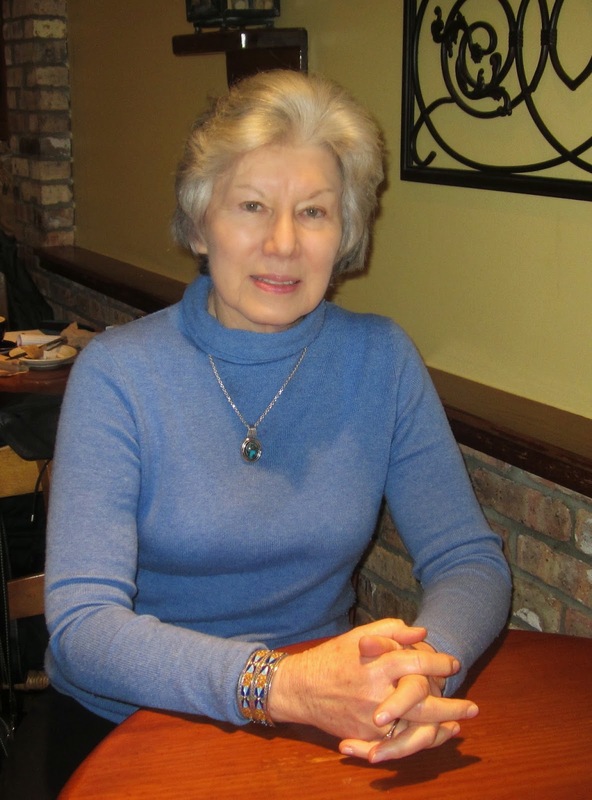 A couple of local Republicans have talked about the possibility of running against Mason Supervisor Penny Gross this year, says Curtis Anderson, Mason District chair on the Fairfax County Republican Committee. No one has come forward but if there are more than one candidate, the committee will hold a “firehouse primary” to select a candidate. The details haven’t been set yet but it probably take place in a high school on a Saturday in late April or early May. Any registered voter who shows up would be allowed to vote, but they would have to sign an oath stating they would support the winner of the primary. When Shirley Thompson bought her home in the Ashton Commons community two years ago, she had no idea what she was in for. She discovered numerous property code violations, lax enforcement by the homeowners’ association (HOA), and safety hazards. When the HOA manager refused to fix the problems, she took her complaints to various county agencies, state officials, and most recently, to an attorney. So far, none of her problems have been resolved. 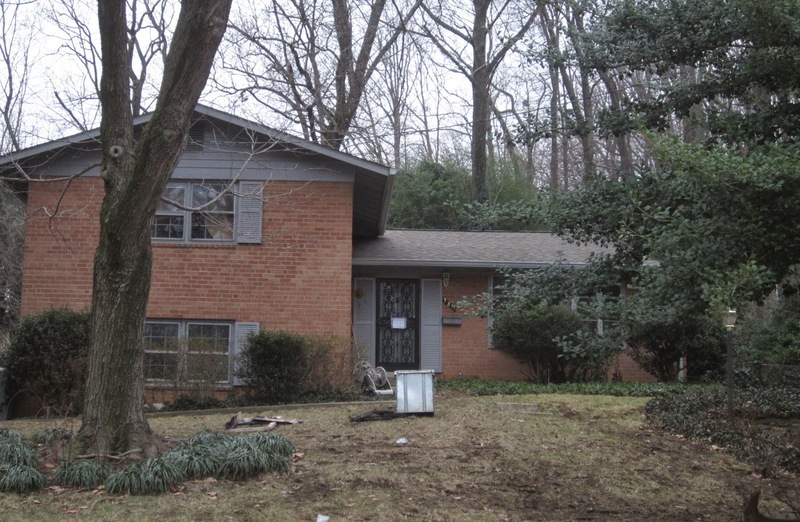 A single-family home at 3040 Holmes Run Road in the Falls Church area of Fairfax County was totally destroyed in a fire on Feb. 24, the Fairfax County Fire and Rescue Department reports. A cat perished in the fire and one resident who was home at the time escaped unharmed. When firefighters arrived at approximately 11 a.m., they encountered heavy smoke and fire coming from the rear deck and roof of the two-story home. The home contained an overwhelming amount of household items and other combustibles making it challenging for firefighters to extinguish the deep-seated fire. It took more than an hour to bring the fire under control. The cause of the fire is under investigation. The two people who had lived there declined assistance from the Red Cross. Need help with your taxes? Eligible taxpayers are encouraged to take advantage of free tax preparation assistance in the Annandale/Mason area. Volunteers from the AARP Tax-Aide program will be stationed at the Mason District Government Center (6507 Columbia Pike, Annandale) through April 15 to help taxpayers on a walk-in basis. The program is free for people with low or moderate income and is targeted to those age 60 and over. “The Taste of Annandale,” a major community event showcasing local restaurants – and much more – is scheduled for Saturday, June 13, 10 a.m.-10 p.m., in downtown Annandale. This multicultural celebration, organized by Mason District residents and stakeholders, is designed to spotlight the Annandale business district, engage young people, and build community spirit though music, food, and interactive fun for the whole family. 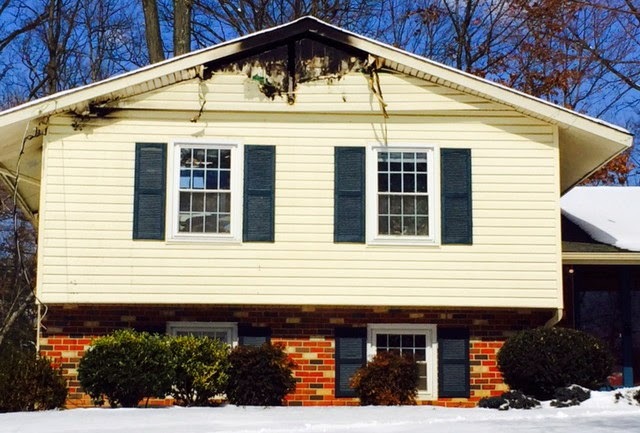 A fund has been set up to help the Susuico family, whose house at 6518 Medinah Lane in the Pinecrest was destroyed in a fire on the afternoon of Feb. 17. The fire, caused by faulty electrical strip, resulted in damage estimated at $212,000. Tony Paduano, a Neighborhood Watch Block Captain, established a fund at the Pinecrest branch of the Wells Fargo Bank to help the family get through this difficult time. The inside of the house has been gutted and they don’t expect to be able to move back in until May. 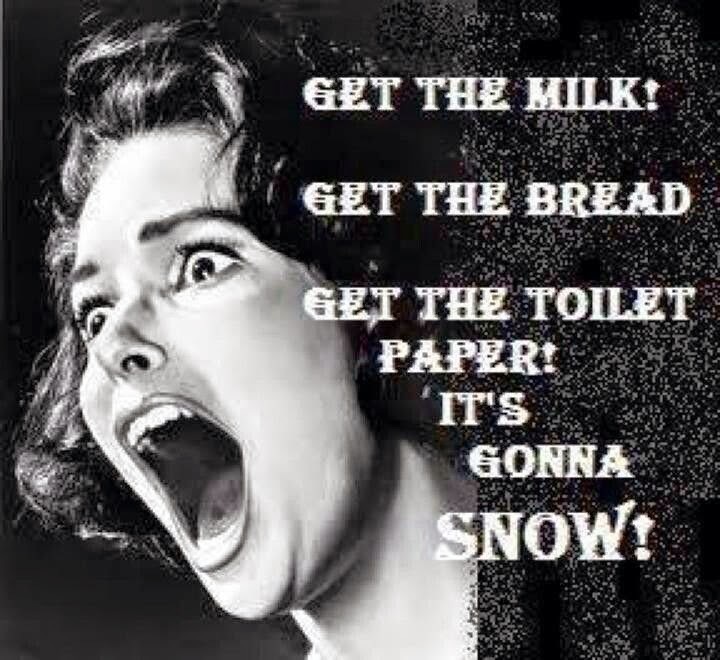 As I traveled to the Giant to watch people pile carts with milk and toilet paper, making me wonder what they drink and apply when it’s not snowing, I felt that I was witnessing doomsday preparations. As though with the fall of a few flakes we all would be plunged into a frozen stasis where the only tools of survival would be liquid vitamin D and a fresher bum. Four men were robbed in front of an apartment on the 6000 block of Knollwood Drive in the Culmore area at about 11:11 p.m. on Feb. 13, the Fairfax County Police Department reports. They were approached by three men. The suspects produced a knife, demanded property, took cash and items, and fled on foot. There were no injuries. Ernie Wells looks at maps of proposed Seven Corners redevelopment concepts at a community meeting at Bailey's Elementary School. Mason Supervisor Penny Gross told the audience at a community meeting on Seven Corners redevelopment Feb. 19 that she supports the concept of a community school and that the Willston Center is a possible a location. Local residents and school officials have been calling for a school at the Willston site for the past few years, and there’s also been some discussion about a community school there that also includes various health and social services. Fire damage at a house on Murdock Road. Fairfax County Fire and Rescue Department units put out three fires in the broader Annandale/Mason area within the past four days. 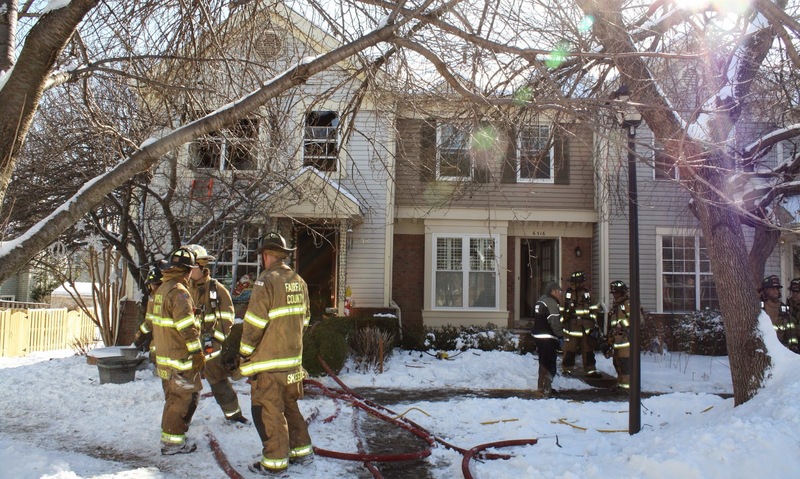 A fire at a townhouse at 6518 Medinah Lane in the Pinecrest neighborhood on the afternoon of Feb. 17 was brought under control in approximately 20 minutes. No one was at home when the fire broke out. Three adults have been displaced, and three dogs perished in the fire. The residents declined assistance from the Red Cross. Annandale has the highest average increase in assessments. 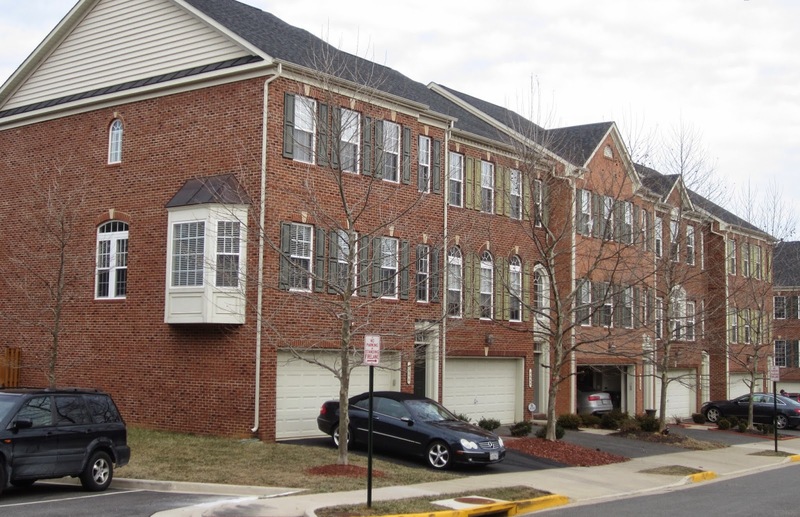 Fairfax County real estate assessments for 2015 rose an average of 3.39 percent for residential properties, the Department of Tax Administration announced Feb. 17. Assessments for properties in Annandale (zip code 22003) rose an average of 5.45 percent – which is more than any other zip code area in the county. The median assessment for residential properties in Annandale is $435,438 for 2015 – up from $412,942 last year. VDOT road assistance: 703-383-8368, www.511virginia.org. Hypothermia prevention: If you see an unsheltered person who may be at risk of hypothermia, call the police non-emergency number, 703-691-2131. For power outages, contact Dominion Power: 888-667-3000, www.dom.com. To sign up to receive text messages from Dominion, text DOM to 898366 from any mobile device. The public is invited to enjoy pizza and karaoke at a fundraiser for the ACCA Child Development Center at Magill’s Pizza and Buffet restaurant on Feb. 27, 4-8 p.m. Magills is at 7201 Little River Turnpike, Annandale. A percentage of the proceeds will be donated to the Child Development Center, a full-day childcare and preschool program on Columbia Pike, Annandale, for children ages 3 months to 5 years old. The center is run by the Annandale Christian Community for Action and relies heavily on volunteers and donations. Penny Gross, who’s represented the Mason District on the Fairfax County Board of Supervisors since 1996, announced her candidacy for a sixth term Feb. 15. 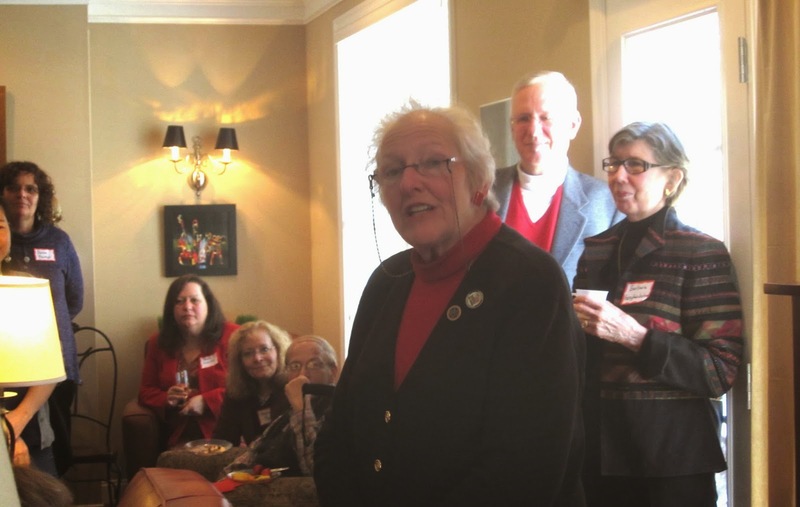 Speaking at her annual Champagne & Chocolates fundraiser, Gross said, “Commitment and experience and integrity are the watchwords for me,” and will run again because, “I want to continue to serve the community and continue to bring leadership and a commonsense approach” to Mason District and the BoS. Holmes Run near Luria Park. The Fairfax County Park Authority plans to begin construction within the next month of the second phase of the boardwalk renovation project at Luria Park and Holmes Run Stream Valley Park near the Holmes Run Acres neighborhood. All local residents are invited to a Coach CJ Celebration to support a scholarship program in memory of Clayton Joyner, the former swimming coach for Falls Church High School and the Holmes Run Pool. Joyner died last April at age 29. 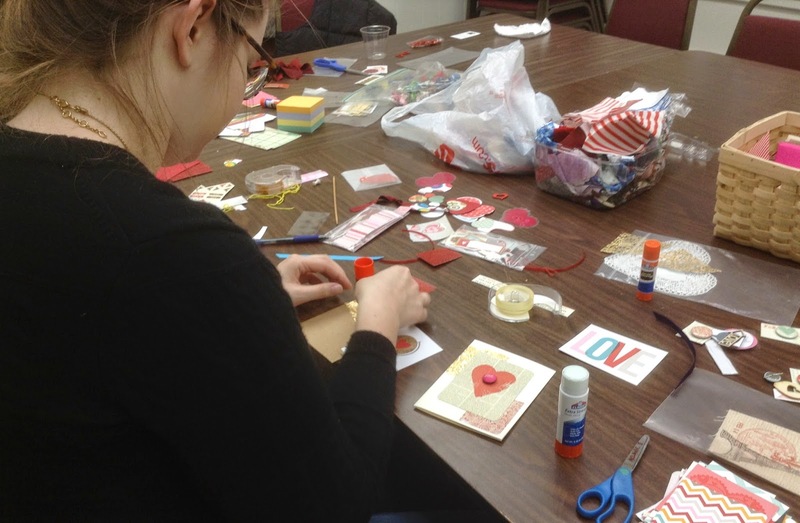 The party is Saturday, Feb. 28, 7-11 p.m., at the Annandale Volunteer Fire Department social hall, 7128 Columbia Pike. There will be a DJ, dancing, hors d'oeuvres, desserts, coffee, beer, wine, and nonalcoholic beverages. The Fairfax County Police Department is launching a program aimed at preventing crime at houses of worship by encouraging congregants to be more vigilant. Worship Watch is modeled after Neighborhood Watch, a crime-prevention program that encourages residents to be observant of their surroundings and report suspicious activity. An illustration of the Shops at Bailey's Crossroads, as seen from Leesburg Pike. The Fairfax County Planning Commission voted Feb. 12 to recommend approval of a shopping center in Bailey’s Crossroads. The project would include a drive-through stand-alone CVS and several restaurants or shops on Leesburg Pike between Washington Drive and Charles Street. A Board of Supervisors hearing on the proposal is scheduled for Feb. 17. Fairfax County police conducted a manhunt in the Pinecrest community this morning to search for a suspect in an attempted burglary at a condo in the 6600 block of Jupiter Hills Circle. The suspect got away, reports police spokesperson Shelley Broderick. A resident reported seeing a police helicopter circling the neighborhood, K-9 units on the ground, and police cars at each entrance. The Pinecrest is located in Mason District between Little River Turnpike, Braddock Road, Old Columbia Pike, and the Pinecrest Golf Course. Residents look at maps at the VDOT meeting. The Annandale Blogger was unable to attend the VDOT community meeting on plans to widen I-395 and thanks a reader for submitting the following article. Trade-offs seemed to be the theme at the Virginia Department of Transportation’s Feb. 10 public information meeting at Holmes Middle School on the planned widening of Interstate 395 southbound between the Duke Street and Edsall Road exits. 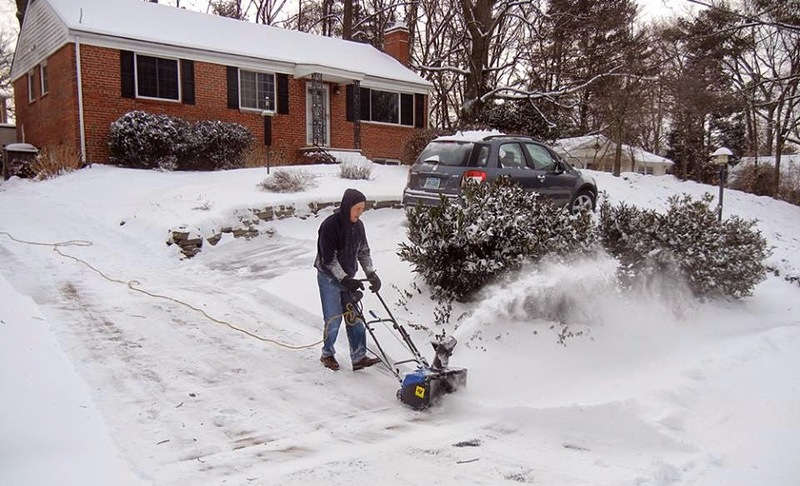 Residents of neighborhoods near Eakin Community Park would like to see improvements in the park, but with no money available from Fairfax County, they are considering forming a friends group to coordinate volunteer projects. 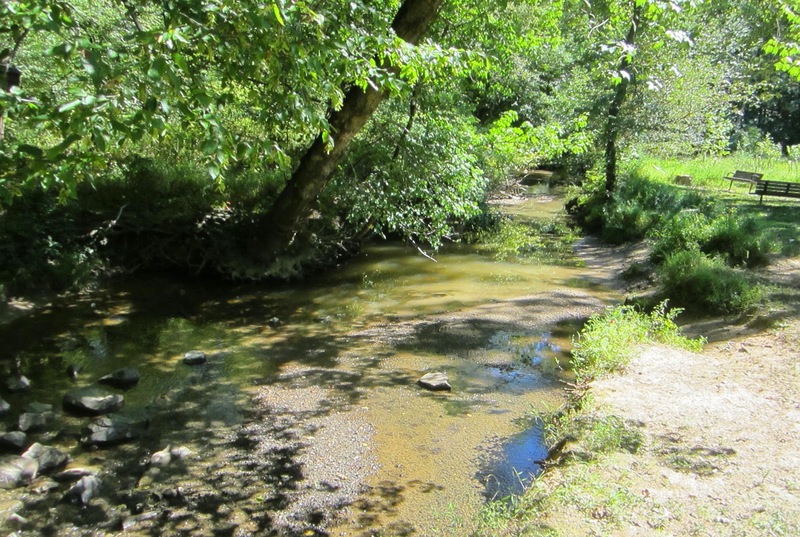 The park is in Fairfax, just outside Annandale, and encompasses a portion of Accotink Creek and the Cross County Trail. We’re still in the grips of winter, but it’s not too early to start thinking about spring and revitalizing your landscaping. The PTSAs at both Falls Church High School and JEB Stuart High School are selling mulch, with the proceeds supporting each school’s Class of 2015 all-night graduation party. Three cubic-foot bags of double-shredded hardwood mulch from Falls Church High School are $5.25 each if ordered by Feb. 21 and $5.50 after. 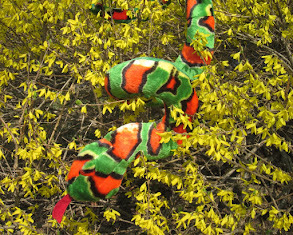 The order deadline is March 16. You can order mulch online or print an order form and mail a check. Instructions are on the PTSA website. A former Annandale High School student, Reginald James Scott, 21, has been arrested for the murder of a college student in Chicago, the Annandale student newspaper, the A-Blast, reported Feb. 10. Scott, a 2012 graduate, had been on the varsity basketball and cross country teams, the A-Blast states. According to CBS Chicago, Scott and Daniel Gonzalez, 21, both enrolled at Parkland College, were accused of murdering Vicente Mundo, 20, a junior at the University of Illinois at Urbana-Champaign. The suspects reportedly intended to rob Mundo of marijuana and cash. Three pedestrians were injured on Little River Turnpike in Annandale at about 11:30 a.m. Feb. 10. None of them sustained life-threatening injuries. Panelists at the forum on schools included (from the left): School board chair Tamara Denerak Kaufax, Regional Assistant Superintendent Fabio Zuluaga, Assistant Superintendent Jeffrey Platenberg, school board member Sandy Evans, and Superintendent Karen Garza. Fairfax County Public Schools Superintendent Karen Garza told local residents at a State of Our Schools Forum Feb. 10 she is optimistic that the school board and Board of Supervisors will be able to work together on using the Willston Center site in Seven Corners to address school capacity issues in the Mason District. 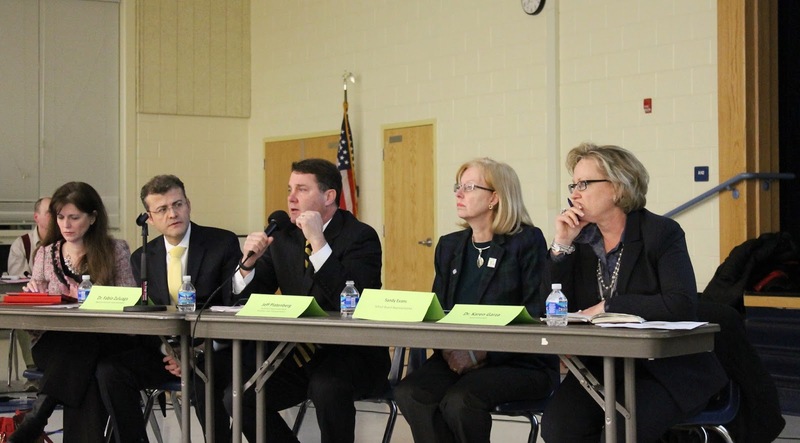 The forum, organized by the Mason District Council of Community Associations (MDC), drew a large of 150 parents and residents to Glasgow Middle School to discuss a wide range of school issues with elected leaders and FCPS officials. Fencing destroyed at the Bo White Community Gardens. There has been extensive vandalism at the Bo White Community Gardens in Pine Ridge Park in Annandale in recent days. 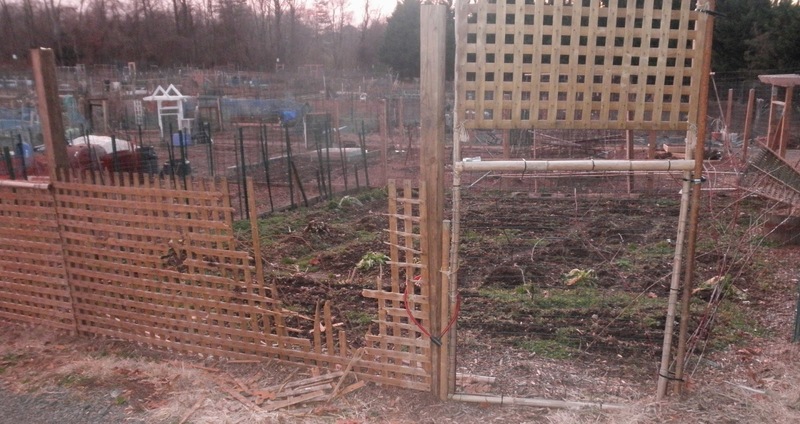 One gardener reports that about 50 of the 160 garden plots were vandalized in two separate incidents – late on the night of Jan. 22 or in the early hours of Jan. 23, and again on Jan. 29 or 30. Fairfax County Police officers arrested a 32-year-old Falls Church man Feb. 8 in Munson Hill Park for indecent exposure and felony exposure toward a child under age 15. Gov. Terry McAuliffe announces Inova's deal to lease the ExxonMobil property. Looking on are Fairfax County Board Chair Sharon Bulova and Inova CEO Knox Singleton. Inova Health Systems will take over the ExxonMobil headquarters building on Gallows Road across the street from Inova Fairfax Hospital to create a Center for Personalized Health. Inova hopes the new facility will help it become the world’s leading center for translational cancer research and patient care based on genomic science and individualized therapy. The morning after a fire destroyed the kitchen in this house. An accidental fire in the Sleepy Hollow Woods neighborhood Feb. 8 was caused by “an electrical anomaly in the hood exhaust system over the stove,” the Fairfax County Fire and Rescue Department reports. Fire units responded to the fire at 3811 Forest Grove Drive at approximately 8:50 p.m. after a neighbor called 911. They found smoke coming from the front and rear of the split-level home. Firefighters rescued two dogs, but two birds perished in the fire. The two adults who rent the house were not home; they have been displaced and are receiving support from the Red Cross. The fire was contained to the kitchen. Damage is estimated at $90,000.